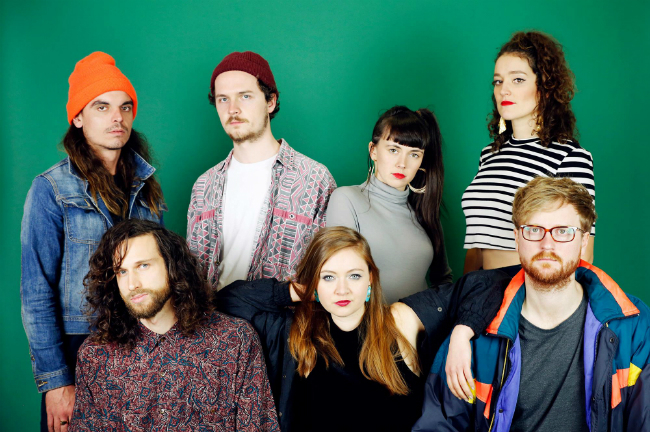 Melbourne 7-piece The Do Yo Thangs are truly doing…well their own thang in their debut single One Plus One. The band first formed within the corridors of a jazz school with songwriter Hugh Rabinovici and vocalist Audrey Powne both desiring to create some oh-so soulful music. They soon recruited other talented musicians and The Do Yo Thangs were born into the Australian music scene. Their debut single is super dreamy, beginning with light guitar strums that drifts you off onto another, very relaxing, planet. Powne’s dreamy vocals combine with some peaceful harmonies to keep the airy vibes flowing throughout the song. There’s also some cool delicate, clanky keyboard parts which give off some vintage vibes while staying super fresh and modern with the booming bass drum, airy snares, and soulful falsetto choruses. The accompanying music video is just as dreamy, following an older gentleman ‘doing his own thang’ dancing through the streets in a Hawaiian shirt. The slowed pace of the video perfectly compliments the lightness of the song. The Do Yo Thangs have introduced some really unique electro-soul sounds in their debut single and have provided a great taste of what’s to come on their upcoming debut EP ‘One Plus One’, set for release on Friday 9th of September.